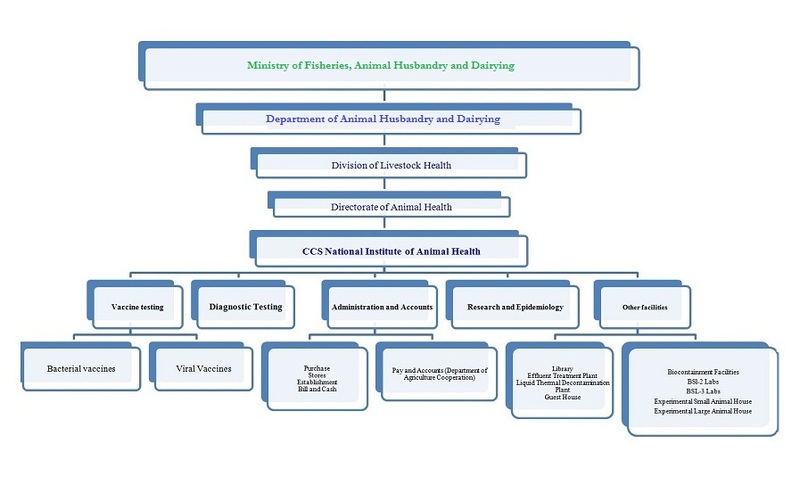 CCS NIAH, Baghpat is a sub-ordinate office under directorate of Animal Husbandry, Department of Animal Husbandry, Dairying & Fisheries, Ministry of Agriculture & Farmers Welfare, Government of India. The Administrative Head of the Department of Animal Husbandry, Dairying & Fisheries is the Secretary. He is assisted by one Animal Husbandry Commissioner and four Joint Secretaries. 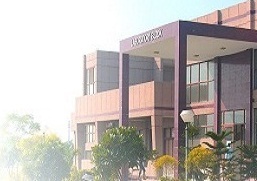 The institute is headed by Director and has dedicated cadre strength of twelve officers and three lab assistants. At present,the Director is assisted by two Joint Directors and five Assistant Directors. Their responsibility is to undertake the quality control testing of veterinary vaccines being manufactured in the country by various state biological/ Govt/ Private manufacturers.Besides, one lab assistant, one store keeper, two stenographers and one LDC are in position for lab and administrative support.